The stalwart spirit of Bristol, RI is manifest in the working boats that line its small harbor. The sturdy, broad-shouldered hulls and complex metal riggings reminded me of their noble, working class struggle. 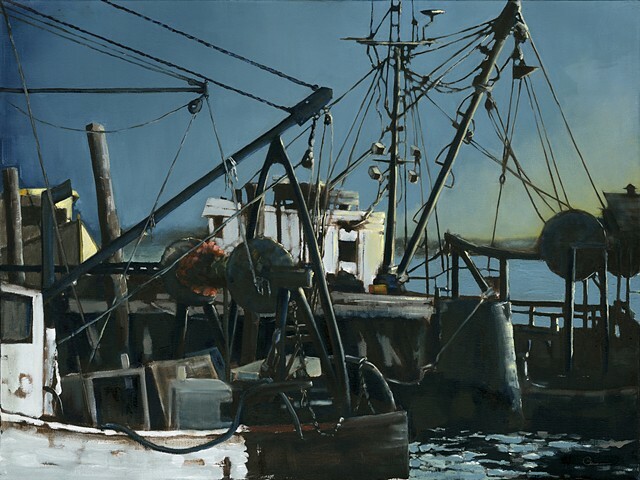 The detailed interaction of the shapes and colors in this painting allow the viewer to disregard the gathering storm and sign on to the bare-knuckled challenges these boats and their masters face everyday at sea.